In July, Uber closed a $1 billion round of funding from Microsoft and Indian media company Bennett Coleman & Co.'s investment subsidiary. 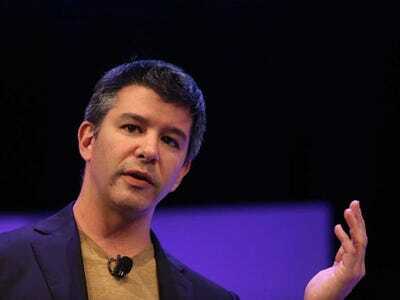 The new funding valued the company at $50 billion, making Uber the most valuable private tech company in the world. 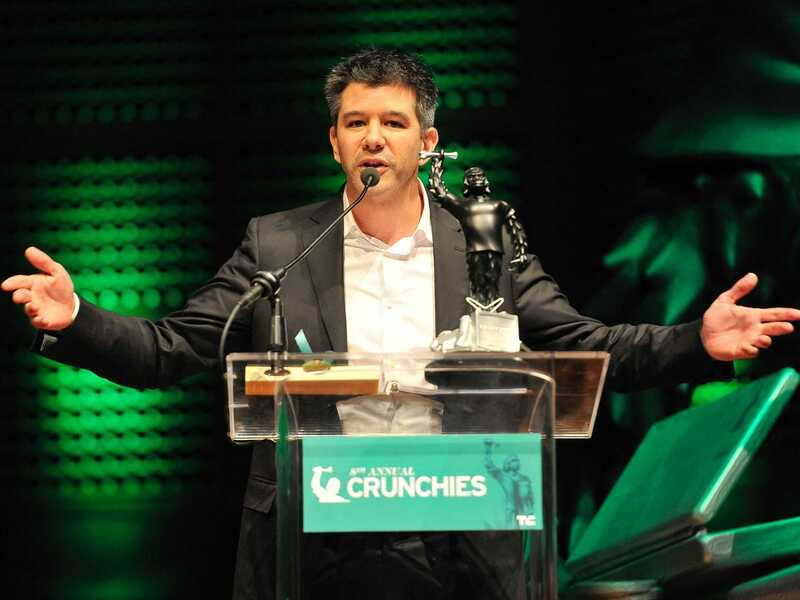 Since it was founded five years ago, Uber has raised an astounding $8.2 billion in funding. Uber's $50 billion valuation also means that Facebook is no longer the only company to have a valuation of that level before going public. Lyft reported it had its best week ever during the same week that Uber's executives were caught up in all that drama. If that's any indication, future public relation blunders could cause public opinion of Uber to shift, and consumers could choose rival companies over Uber. Groups of these drivers across the country have protested the company in the past year. 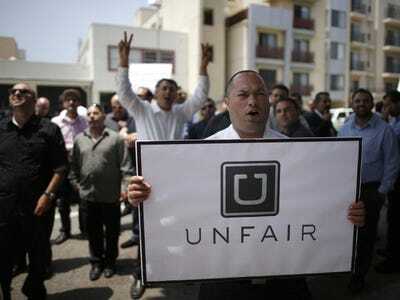 They're upset with Uber's competitive pricing, which affects drivers' incomes. Some have said they're barely making minimum wage. They don't understand why Uber hasn't integrated a feature to let them accept tips from customers. They're terrified of Uber's five-star rating system, and say that even one bad rating could be enough to knock them out of Uber's driving system and prevent them from driving for the service in the future. Uber's drivers are volatile. They aren't required to work for Uber; they can stop and start whenever they want. They know they have options — there are alternatives for them within the same space, like driving for Lyft or Gett. Some could get out of the black-car driving game altogether. If Uber's drivers were, as a group, to suddenly up and stop driving for the company, Uber might feel it. An Uber driver in San Francisco was charged with vehicular manslaughter after killing a six-year-old girl in San Francisco on New Year's Eve last year. In September 2014, an Uber driver was accused of smashing a passenger in the head with a hammer and driving away. That same month, an Uber driver in Orlando was accused of groping a female passenger and then blaming it on the way the woman was dressed. The list of stories about Uber drivers behaving badly goes on. It's not unique to Uber — taxi drivers don't have a totally clean track record, either — but city taxis aren't in the public eye the way Uber is. Additionally, city taxi services usually don't promote themselves with the same level of security screenings that Uber promises to hold its drivers to. Some customers who say they've been assaulted by drivers are taking legal action. A woman who was allegedly raped and beaten by her Uber driver in Delhi, India, tried to sue the company in US court (She later dropped the suit). While Uber has the money and time to deal with lawsuits like these, they could still take a toll on the company. Bloomberg has reported that Google is "going to war" with Uber. According to Bloomberg, Google is actively seeking its own car-hailing technology. 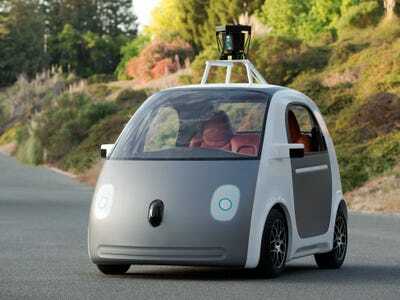 Google is also, famously, researching self-driving cars. Bloomberg's report indicated that this could topple Uber, bringing self-driving cars-on-demand to roads before Uber ever has a chance to get into autonomous cars. And though Uber has a seemingly bottomless war chest of funding, Google has a $446.4 billion market cap. 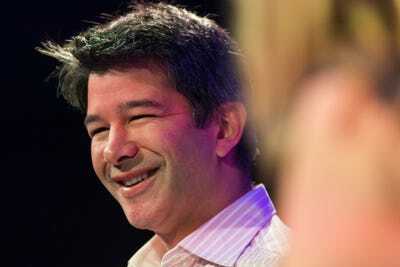 In the future, Uber CEO Travis Kalanick has said, its drivers will be replaced with driverless cars. Earlier this year, Uber announced it was partnering with Carnegie Mellon University to research self-driving cars. It's no secret that autonomous cars are an area Uber wants to explore. But if Google could eventually get there first and do it just as well as Uber can, it would give Uber a run for its money, or at least create some competition. Uber's December fundraising round — in which Uber raised a massive $1.2 billion — was intended to allow Uber to "make significant investments, particularly in the Asia Pacific region." However, a global car-hailing startup alliance could cripple Uber's efforts there. 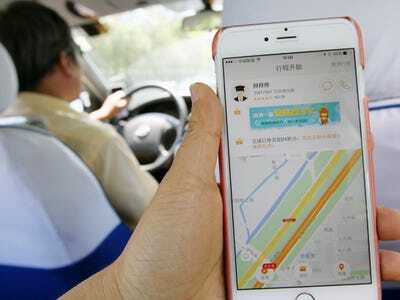 Didi Kuaidi — Uber's biggest competitor in China — and Lyft, Uber's biggest US rival, recently announced the two companies were teaming up to take on Uber. The strategic partnership will let the companies share technology, product development, and local resources, and when US users of Lyft go to China (or when Didi users come visit the US), they'll be able to pay in their native currency on each app. According to The Wall Street Journal, Lyft and Didi are in talks to expand their alliance with other Asian ride-hailing companies: India's Ola and Singapore's GrabTaxi. Ths isn't entirely unexpected. Earlier this year, BuzzFeed News reported that Softbank Capital, which has funded on-demand ride-hailing startups GrabTaxi and Ola, was behind a global alliance to take on Uber. Executives at both GrabTaxi and Ola, which are Asia-based companies that use taxis instead of private drivers, told BuzzFeed News they were working on "forming a global alliance of regional players." By providing a similar service that is familiar with local laws and cooperates with local governments, this alliance could kneecap Uber in Asia, a huge potential market that relies heavily on taxi services. But cities, states, and countries aren't universally welcome to working with Uber. Amid regulatory concerns, Nevada became the first US state to suspend Uber's operations, though Uber now operates in Las Vegas. Uber is having a different set of challenges in other countries, especially Germany: Uber's services aren't taking off there in part because the country's taxis are Mercedes, and thus much nicer than a typical American taxi. Germans don't seem enticed by a service like Uber even if it's much cheaper. Courts in Hamburg and Berlin previously upheld a ban on the service, saying that Uber doesn't comply with German laws. Uber, for its part, has since started working within the law in Germany, launching a licensed driver service that complies with local laws. This is all to say that if governments around the world continue cracking down on Uber, and if Uber isn't complicit with local laws, it could spell trouble for the company, which has emphasized its focus on international growth. After its $1 billion round of funding in July, Uber was valued at $50 billion — the highest valuation of any private company. As early as this year or next, Uber could go public. But some analysts say Uber's huge valuation could present the company with a lot of expectations Uber may struggle to meet. Uber is reportedly losing a lot of money. Uber has traditionally been tight-lipped about its finances, but a leaked document, obtained by Gawker, suggests the $50 billion company is wildly unprofitable. The documents that Gawker obtained, which appear to show Uber's profits and losses for 2012, 2013, and some of 2014, suggest the company is losing a significant amount each year. Uber's net revenue in the first and second quarters of 2013 was a combined $32 million, according to the document, and its numbers for the second half of the year were about $72 million, bringing its 2013 annual revenue to $104 million in total. Gawker's documents also show that while the company's revenue has been growing quarter over quarter, its losses are also increasing. Its losses in 2012, according to Biddle, totaled $20.4 million. In the first half of 2013 the company lost more than $15 million. That's not totally surprising, and it certainly doesn't mean the company is in any grave danger. Many tech companies that raise a lot of money aren't profitable, and many go public while they're in the red. Just look at Amazon. "Shock, horror, Uber makes a loss. 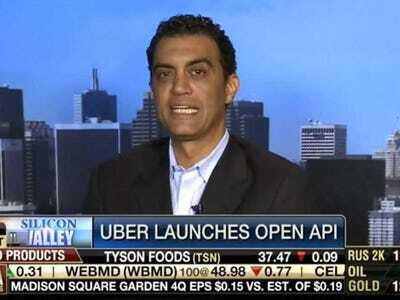 This is hardly news and old news at that," Uber told Business Insider in a statement at the time. "It's the case of business 101: you raise money, you invest money, you grow (hopefully), you make a profit and that generates a return for investors." One lawsuit could alter Uber's business model. Uber is in the midst of a lawsuit brought on by drivers that could change the company's business model. The gist of the lawsuit argues that the company's drivers should be reclassified as employees as opposed to independent contractors. As independent contractors for Uber, drivers pay all their expenses out of pocket: gas, maintenance, insurance, and detailing, just to name a few. Uber suffered a major legal setback when a San Francisco judge ruled that the jobs of Uber drivers in California are similar enough that workers can sue the company as a class instead of as individuals. 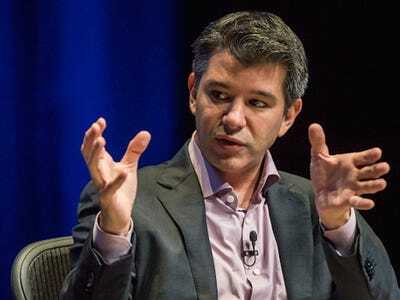 Last week, Uber filed to appeal the class-action status of its lawsuit, The Wall Street Journal reported. When the home-cleaning startup MyClean switched from an independent-contractor model to one with full-time employees, the startup saw its labor costs go up 40%, according to Kevin Roose, writing for New York magazine. If MyClean is any indication, Uber losing the lawsuit against the group of its California drivers could set a precedent for future lawsuits and other startups that rely on independent-contractor models, and could mean its labor costs could go way up. For comparison's sake, not only has Uber reached a $50 billion valuation in an impressive five years since it launched — it did so much faster than Facebook. According to BI Intelligence, it took three years for the social media giant to get to a billion-dollar "unicorn" valuation, and it was "only" worth $15 billion by its fifth year. It took almost 8 years for Facebook to get to the $50 billion threshold, before hitting its massive $100 billion IPO in 2012. Facebook is now worth around $225 billion. The reason this is happening is Uber provides something of value: It gets you anywhere you need to go at a reasonable price. It sounds like a simple concept, but Uber was the first to perfect this process. You just tap a couple of buttons on your phone and you can see your car and driver on a map, heading your way. The driver won't pick up anyone else, so you don't need to fight people off the street to get a ride. And unlike cabs, Uber drivers must be on their best behavior, since negative reviews can affect their ability to drive for Uber in the future. Moreover, your credit-card information is always saved in the app, so you don't need to fumble for your wallet at the end of the ride. It's not perfect, but it's exceedingly better than taking a random yellow cab off the street.